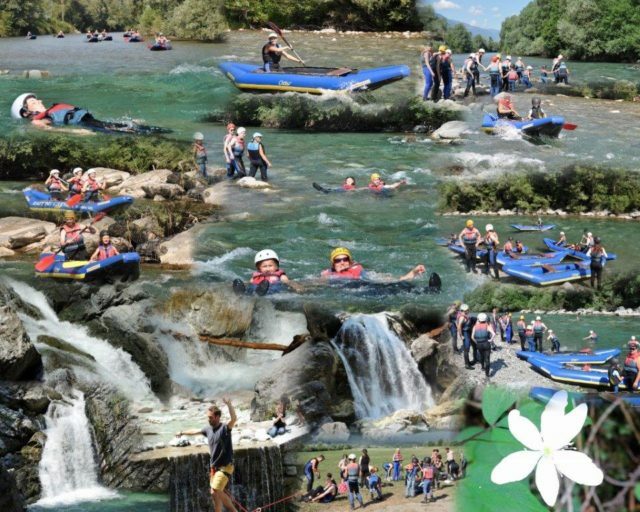 Rafting Centre Carnica offers numerous terrific programmes with the aim of bringing you closer to the adrenaline-fueled world of water sports. You can choose between five different activities – Rafting and Canoeing, Family rafting, Kayaking, Canyoning or Tubing. All of the activities enable you to enjoy the marvelous landscape, feel the power of the elements and experience the thrill of the river with your family or friends. Their experienced rafting guides provide high-security standards and guarantee a soaking wet experience on crystal clear water.